I dont care about a spiritual battle; I am just trying to survive and juggle all of the balls that I have in my life. We are in a battle for our minds, a battle for our children and families, battle for souls who dont know the Lord, battle against a philosophy that is defined by the values of this world. The evil one is assaulting every part of Gods kingdom. We need to recognize that we are in a battle every day, like it or not. But this battle is a winnable one. Listen to these words from 2 Corinthians 10:3-5. The Keyboards for Christ Music Ministry has introduced a ‘Academy’. 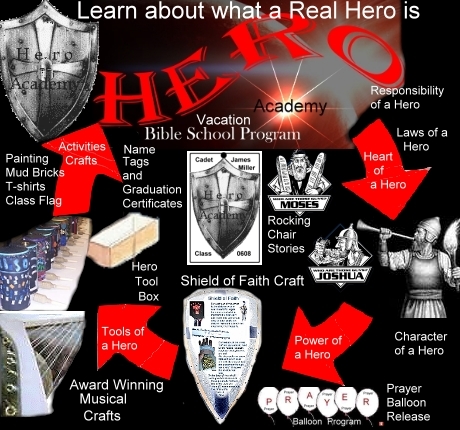 The Hero Academy Vacation bible school program was trains children to see what a real HERO is. The character, the laws they follow, respect, and responsibility. 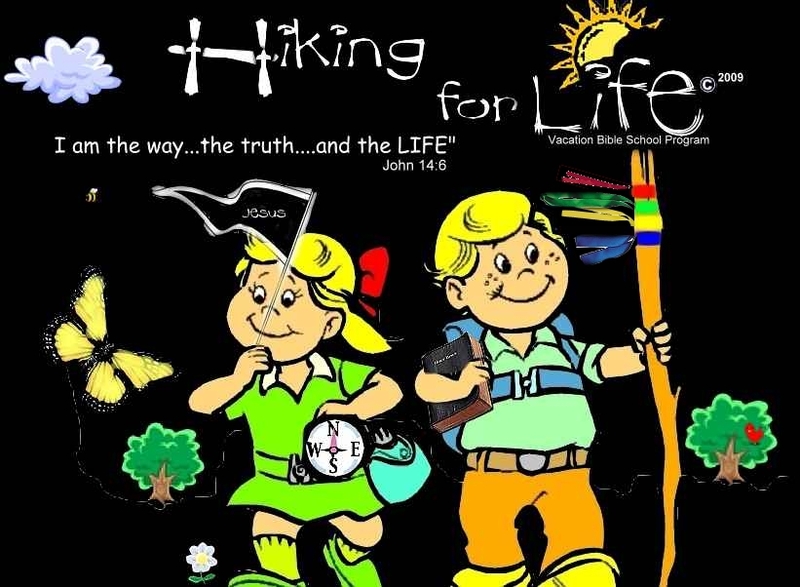 Unlike other Vacation Bible School programs this program is not just filled with all the bells and whistles to make it a week of fun. The fun is here, but within the walls of your church you can take back what the evil one is trying to take…our children. Back to the Basics, not following the themes of the world, simply to hunt for the heart of God. AND its all free and based around common items that you have around your home. No matter if you don’t even have a VBS budget this program can be used in your church. Within our Internet home you will notice words like Difference, Change, Journey. These words will follow you all through your visit. My love for history is no secret to those who know me. History has played a very important part in my career and in the programs that I have authored. As you journey please understand that this is a Christian site and our programs are authored for teaching children using the foundation of God’s Word the Bible. Our resource portholes are for all ages. There are Portholes of Knowledge for you to research facts of history, Hundreds of pages of reference materials on a variety of subjects, and our Award Winning Teaching Programs. Through crafts, activities and using Music to teach children God’s Word, what makes a Real Hero and How to Praise God on their own level, turning fears into Faith. 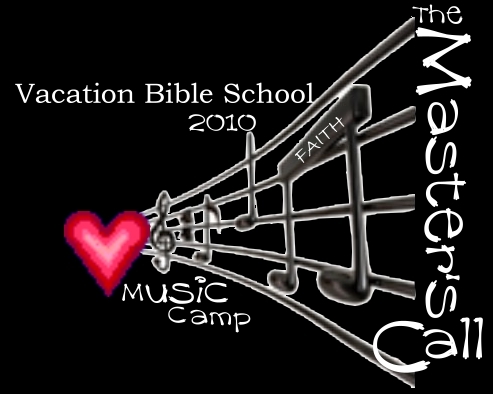 Vacation Bible School Programs/Sunday School Programs/ Youth Programs/Music Programs/ Bible Study Programs FREE for you to use. First please understand that you must register before you will be directed to the area for downloads. Look for this navigation button to register. After you register you will be directed back to our home page of this site. You must fill the form out complete or we will not return your request. Continue your journey here to more articles and research along with our AWARD WINNING programs for Sunday School, Vacation Bible School, crafts and activities for children and youth. The Programs in this site have been Authored and Created by Rev. Daniel L. Wheeler. History Porthole and other articles and materials are done by hundreds of Author’s some are word for word with the permission to do such. Enter our Program area or Resourse and Research area below. Left you go to our program, right go to our research area.